The town of Caen in Normandy saw a lot of action during World War II, a war which reduced Europe to a rubble. During the Normandy invasion and the one hundred days of fierce battle, Caen found itself at the centre stage of this battle. As one of the largest cities in Normandy and with its position astride the Orne River and Caen Canal, Caen became a strategic target for the Allied Forces during the D-Day Landings. Caen suffered heavy bombings during the summer of 1944 and much of the city was destroyed. To underline its commitment to peace, the town built the Mémorial de Caen (Caen Memorial) in June 1988, in which archive records and documentaries provide accounts of the war from all fronts. This peace project earned Caen the UNESCO “City of Peace” award in 1999. 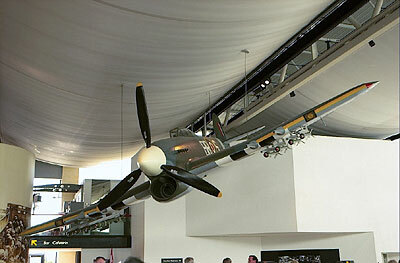 In this museum dedicated to peace, visitors can learn about World War II history and the events of D-Day Landings are played out, using a host of inter-active and audio-visual techniques. You can also watch films on “D Day” and “Battle of Normandy”. In January 2010, a new area was created which is devoted to the D-Day Landings and the Battle of Normandy, a crucial episode leading to the Liberation of Europe. Here you’ll find a large section that’s dedicated to accounts provided by witnesses, both civilians and soldiers, who lived through the hellish Battle of Normandy. A new permanent area devoted to the understanding of the use of press cartoons to drive the messages for world peace, the defence of human rights, ecological threats, different forms of censorship, etc. A new section showing objects and films from the Cold War period. 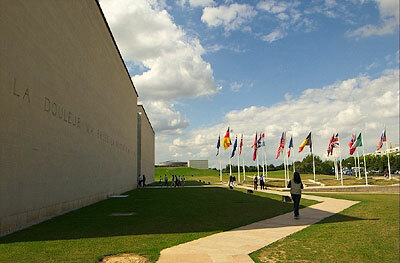 It is the only museum in France to have on display comprehensive records of the period from 1945 to 1989. Visitors can get a glimpse of what life was like before and after the Berlin Wall and how Europe was divided into the Eastern and Western bloc. The Mémorial de Caen offers various tours of the Museum, the D Day Landing beaches and of the medieval estate of Bayeux, which you can book online. Hard to imagine war in such a lovely place. So sad.